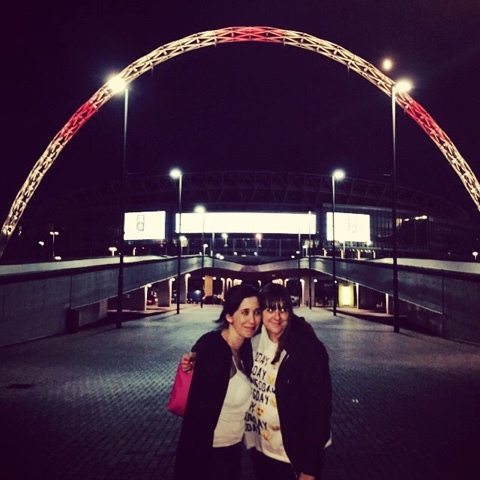 So Saturday night had finally arrived and it was at last time to head to Wembley for the show. I've had this show in my sights for months I love Idina and new somehow is make it in to watch the show. Was super happy when Laura was able to join me as I knew she'd end up loving her too. As we took our seats by the side of the stage the lights dimmed and the opening bars of Defying Gravity started. For those who know me well know this song is in my top 3 favourite show songs of all time. I have all the respect in the world for anyone who can pull of this song but a complete love for Idinas version. 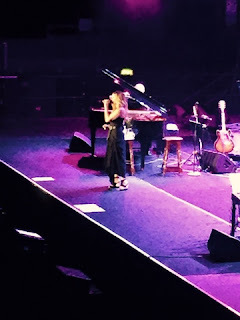 As the show continued the hits kept coming and Idina didn't disappoint at all. To my delight The Wizard and I was on the set list. This song is incredible on stage but to hear it on stage at the arena was beyond amazing. Even though she sang for a couple of hours I could have happily rewound and watched again and again as I felt it was over way too quick. We had a great evening luckily joined by some friend who also loved the show and were asking when the next one was straight after. Holly and I have spoken about seeing Idinia for a while and then the subject was forgotten about in till a few days before the actually night at Wembley arena and I wasn't sure at first but I was won over and I'm so so glad that I decided to go..
We went with a couple of friends which made the experience even better as they were both fans so made it even more special,we took to our seats which were amazing and then the lights went down and the sound of defying gravity started and I was sold instantly and then Idinia appeared and started singing and wow that woman's voice is truly spine tingling.. The set was 2 hours long and it flew by there was a mixture of musical theatre and her own music but to be honest I prefer the musical stuff but still was amazing! And of course let it go has to be the pin point of the whole show with the whole of Wembley arena singing along was fantastic! So I'm so glad I went as I throughly enjoyed every single moment of it and I can't wait for the next tour..